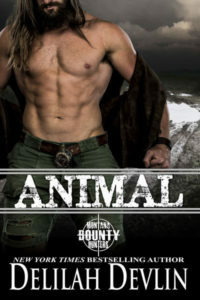 « Amanda McIntyre: DO YOU NEED A HOT WESTERN NIGHT? 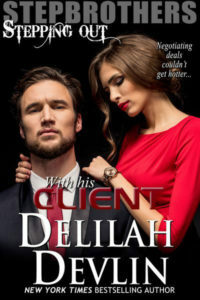 Thank you, Delilah, for allowing me the chance to ramble on your blog today. I suppose it’s silly to start out saying writers are creative. The statement certainly shouldn’t make anyone take a surprised step backwards and blink in astonishment. If writers weren’t creative, there’d be no stories to tell, no new lands and characters to discover, no tales of hope, adventure or romance. So, yeah. Writers are creative. I mean, just look at those beautiful pieces Delilah posted a few days ago! While crafting stories is our main creative outlet, most authors express their inventiveness and ingenuity in other ways as well. And we find those other outlets a necessary part of the entire process. I have a good friend who makes beautiful quilts–each bit of fabric stitched to the next, then quilted. All by hand. Problems in her worlds are solved while actively doing something else. It’s that same concept as getting great ideas while you’re in the shower. My local writers’ group is filled with crafters. Sometimes there’s nothing better than to put critiques aside for an evening to make charms for our wine glasses. One set for each house where we meet. Yep, authors also like wine. And chocolate. But that’s another blog. I’ve been a crafter for as long as I remember. I crochet. I’ve made quilts, soft sculpture and porcelain dolls (patterned after some of my characters of course), jewelry…hey, anyone remember when decoupaging layers of napkins to the back of clear plates was in? What I’m saying, I guess, is that I’ve participated in a ton of creative ventures. There are more in my future. Because I need to stretch my creative muscles with a variety of exercises. Wouldn’t want to become overly developed in just one muscle group! My latest creative adventure is closely related to writing…well, to books at least. I’ve learned how to create journals and coloring books. (Coloring. Wow, coloring is HUGE right now.) Today, I’m showing off my very first journal. The Moon…symbol of wonder, transition and enlightenment. See that? The Cosmos Journals #1? There will be more in this series of journals. The second, Star Gazing The Journal is almost ready for publication. Why is making books to inspire others a way for me to refill my creative well? I design the cover. I can play around with different layouts for the inside. I think about how I would use the journal. I’ve learned new software and even with the frustrations, when I figure out (and remember) what to do, it’s a rush. As is imagining how someone might enjoy the quotes and find the writing and (yep, here we go) blank pages for drawing or doodling or whatever beneficial. 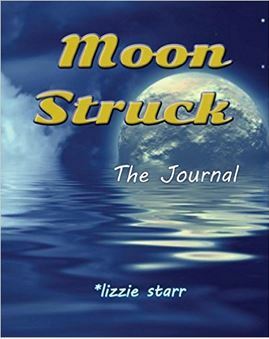 How might you use Moon Struck The Journal? Does journaling or drawing and coloring spark your creative side? Interested in this journal? It’s available at Amazon and Barnes & Noble and Books a Million. About me? This is the official bit…*lizzie always made up games and stories to keep her company. So, a cunning witch lived in Grampa’s weather research station and was only held at bay by waving a certain weed. An ancient road grader morphed into a boat carrying wild adventurers to islands filled with fierce lions and dangerous cannibals, which really looked a lot like sheep. Now, filled with fantasy, love, and romance with a sparkling twist, the stories of her imagination swirl their way into the mundane world. When *lizzie must return to a more routine life, she’s *the Lunch Lady* at a private school. Author and lunch lady~~what a combination! Find out more about me and those tales of sparkling romance at www.lizziestarr.com You’ll find links to a couple of free reads there, too. This entry was posted on Sunday, September 6th, 2015 at 7:57 am in General. Tagged: Guest Blogger. You can feed this entry. Both comments and pings are currently closed.